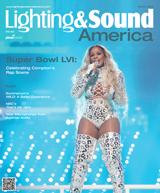 SIGN UP FOR YOUR FREE LSA HARD COPY SUBSCRIPTION AND/OR LSA DIGITAL EDITION WITH OUR COMPLIMENTS TODAY! 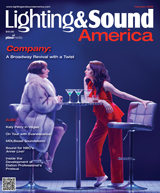 Lighting&Sound America is your monthly publication for lighting, sound, and staging professionals working in theatre, touring, industrials, corporate A/V, houses of worship, themed entertainment, retail, and much more. Sign up today! KISS one last time with The Final Tour. Be More Chill on Broadway. The Faust legend gets a software update and a high-tech design. Harman Professional’s new world after the Samsung acquisition. Preevue, a VR visualization start-up arrives on the big stage. LSA Technical Focus: Milan Network Protocol. LSA Technical Focus: Open Sound Control is Not Just for Audio. LSA 2019 Wallplanner - email LSA@plasa.org for your free poster! Supplies limited. 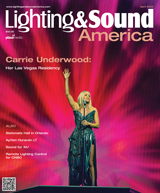 SUBSCRIBE TO THE NEW LSA DIGITAL EDITION HERE!